Francis Xavier Taylor is a senior military leader, intelligence and security expert, and American diplomat. Born in Washington, D.C., on October 22, 1948, Taylor was raised by his mother Virginia Taylor, who worked as an administrator in the Department of the Army. When he later enrolled at the University of Notre Dame in South Bend, Indiana, he joined the Reserve Officers Training Corps (ROTC), and in 1970 received his Bachelor of Arts, and later in 1974, his Master of Arts. After graduation and completion of his ROTC service in 1970, Taylor began his official military career in the U.S. Air Force. During a 31-year military career, he would hold multiple and progressively more important staff and command positions on U.S. soil and abroad. These included assignments with the Air Force Office of Special Investigations, the Office of the Secretary of the Air Force, and at the Pentagon. In September 1996, Taylor was promoted to the rank of Brigadier General, and on July 21, 2001 he retired from active military service. In 2001, right after his retirement, President George W. Bush promptly appointed Taylor as Coordinator for Counter-Terrorism and Director, Office to Monitor and Combat Trafficking in Persons at the State Department, with rank of Ambassador-at-Large. This role took on an even higher profile following the September 11 attacks on the U.S., placing Ambassador Taylor squarely in the middle of U.S. response and prevention activities. In 2002, Ambassador Taylor was appointed as Assistant Secretary, Bureau of Diplomatic Security and Director, Office of Foreign Missions at the State Department, again with the rank of Ambassador. In this dual role, Ambassador Taylor was responsible for over 3,000 U.S. diplomatic personnel and 260 facilities abroad. He also directed the law enforcement function of the Bureau, including the special agents that protect the Secretary of State and foreign dignitaries visiting the U.S. Among his major contributions was the leadership he provided in expanding the chapters of the Overseas Security Advisory Council (OSAC) in U.S. embassies from 40 to more than 100, helping to increase the direct communications and cooperation between the private/ business community and the State Department on global threats. In his simultaneous role as Director of the Office of Foreign Missions, Ambassador Taylor ensured that U.S. diplomatic and consular missions abroad, and their personnel, were treated equitably and fairly; led State Department interactions with U.S.-based foreign missions; and, provided services and assistance to the foreign mission community. In 2005, Ambassador Taylor joined the private sector as Vice President and Chief Security Officer for the General Electric Company, where he was responsible for overseeing their global security operations and crisis management processes. In 2013, he was called back into government service, this time in the U.S. Department of Homeland Security (DHS), as Under Secretary for Intelligence and Analysis. He was confirmed in 2014 to this appointment where he is responsible for providing security intelligence and information to the Secretary, senior leadership, and DHS partners, as well as gathering intelligence from other government and non-government sources on potential threats to U.S. national security. 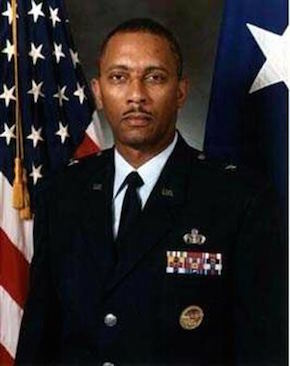 During his distinguished career, Ambassador Taylor received several military awards, including the Distinguished Service Medal, the Defense Superior Service Medal, and the Legion of Merit. He continues to be among the nation’s top experts on security and counter-terrorism. Ambassador Taylor is married with three children. Security Magazine, “The Future of DHS Partnerships with Frank Taylor,” http://www.securitymagazine.com/articles/85671-the-future-of-dhs-partnerships-with-frank-taylor; U.S. Department of State, Archived Official Bio, http://2001-2009.state.gov/outofdate/bios/t/4331.htm; U.S. Department of Homeland Security, Official Bio: http://www.dhs.gov/person/francis-x-taylor.